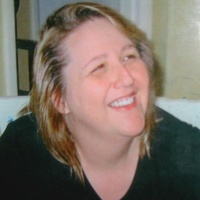 Melanie Katrina Oliver, age 54 of Dalton, Georgia, departed this life August 9, 2018 at Hamilton Medical Center. Katrina was born in Whitfield County on Nov. 26, 1963, a child of Roy Ned Oliver and Janis Gay Lawson. Katrina was a 1981 graduate of Dalton High School. Katrina’s health problems started the moment she was born. She first had a dislocated hip directly after birth, then her life continued with bad health, cancer, pulmonary issues, and much more. Even as sick as she would be, she would insist, “No, I’m not going to the hospital”. She was a force to be reckoned with and was a fighter until the very end when she gained her heavenly wings. She was one of the most generous people you could ever meet. She would give her very last dime to someone in need. As a matter of fact, when the Oklahoma city bombing took place in 1995, she sent her entire paycheck to help the little children of the affected area. She is survived by her mother, Jan Boggess; father, Roy and Carol Oliver of Dalton; brothers and sisters-in-law, Steve Oliver of Dalton; Dave and Pam Boggess of Cartersville, Mike and Bambi Boggess of Tacoma, Wa. ; sisters and brothers-in-law, Nancy and David Korekach of Lebanon, Tn., Julie and Bill Rice of Smyrna, Ga., and Suzanne Arnold of Dalton; nephew and spouse, Jared and Jessica Oliver, and great-nephew, Mason Oliver; aunts and uncles, Gail and A.J. Brown and Sue Gibson all of Dalton; and a number of other aunts, uncles, nieces, nephews, cousins and other family members also survive. A service to celebrate the life of Katrina Oliver will be held on Saturday, Aug.18, at 2 p.m. from the Melrose Chapel of Ponders Funeral Home with Reverend Ronald Guffey officiating. She will be laid to rest beside her brother at Grove Level Cemetery. The family will receive friends on that Saturday, from noon until the service hour. Condolences may be sent to Katrina’s family by visiting www.pondersfuneralhome.com.